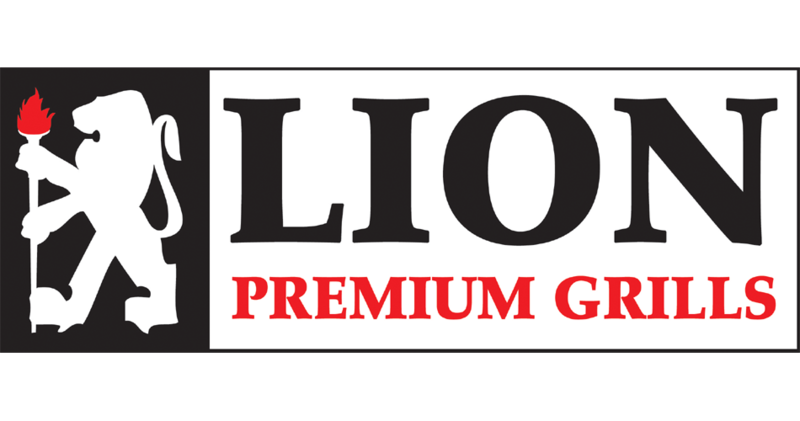 Welcome to the 65th issue and February 2019 edition of the Lion Monthly Newsletter! Thank you for taking the time to visit our website and newsletter; we hope you find this month’s issue useful. This year has been speeding by rather quickly and February signals that those perfect spring months are rapidly approaching. 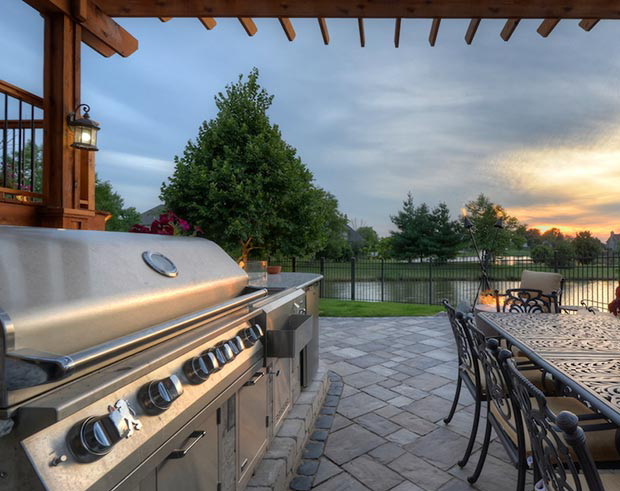 We find this the best time for preparing for the prime summer months of grilling if you’re in the market for a new grill, outdoor kitchen, etc. 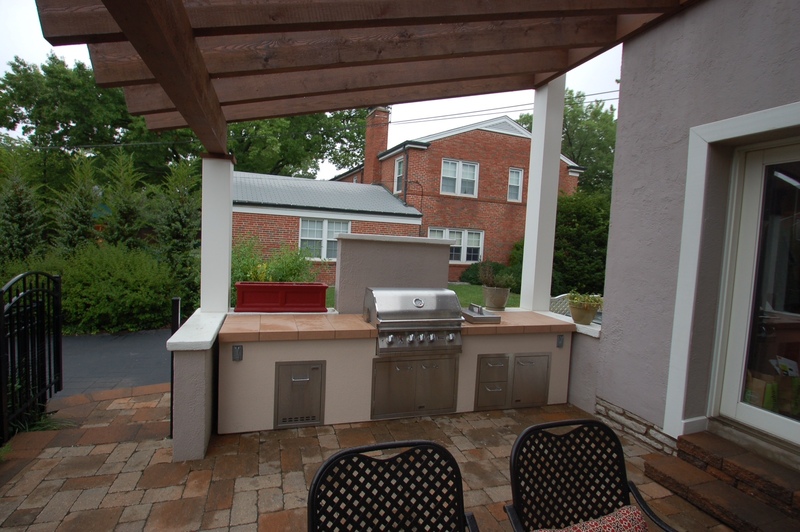 It’s not quite there yet, but it will soon be a fantastic time for grilling outdoors depending on your location of course. We have quite a bit of content lined up for this month’s edition which we’ll outline just below. As we stated above, we have quite an issue ready for you this month. Kicking things off, we take an in-depth look at what makes our cast stainless steel burners top of the line, both in performance and quality. Following that feature up we take a detailed look at our standard flame tamers and the upgraded ceramic tube trays as well as a full length feature about our signature 40″ L90000 BBQ grill. 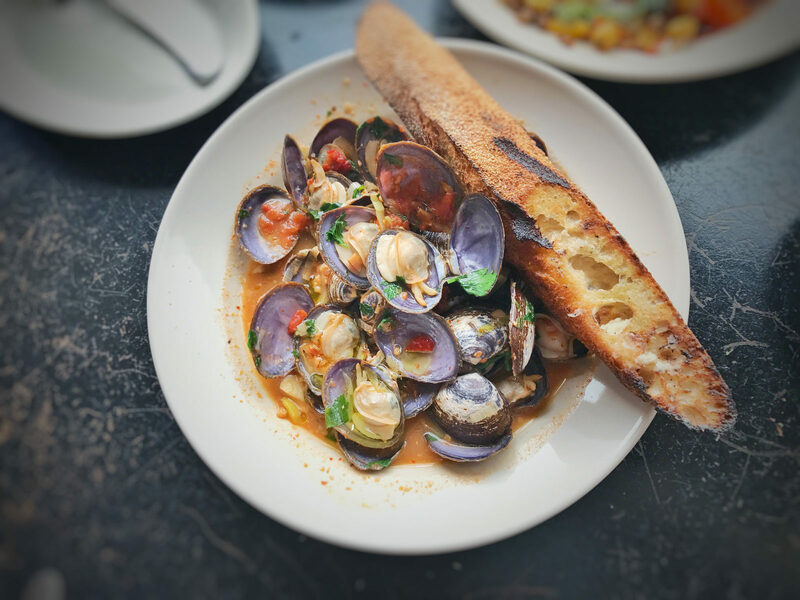 We also have a recipe for grilled oysters with lemon shallot butter that is extremely easy to prepare as well as being exceptionally delicious! Again, we would like to thank you and we hope you enjoy this month’s issue! 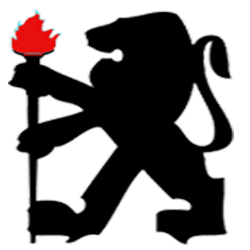 What is a Flame Tamer Used For? 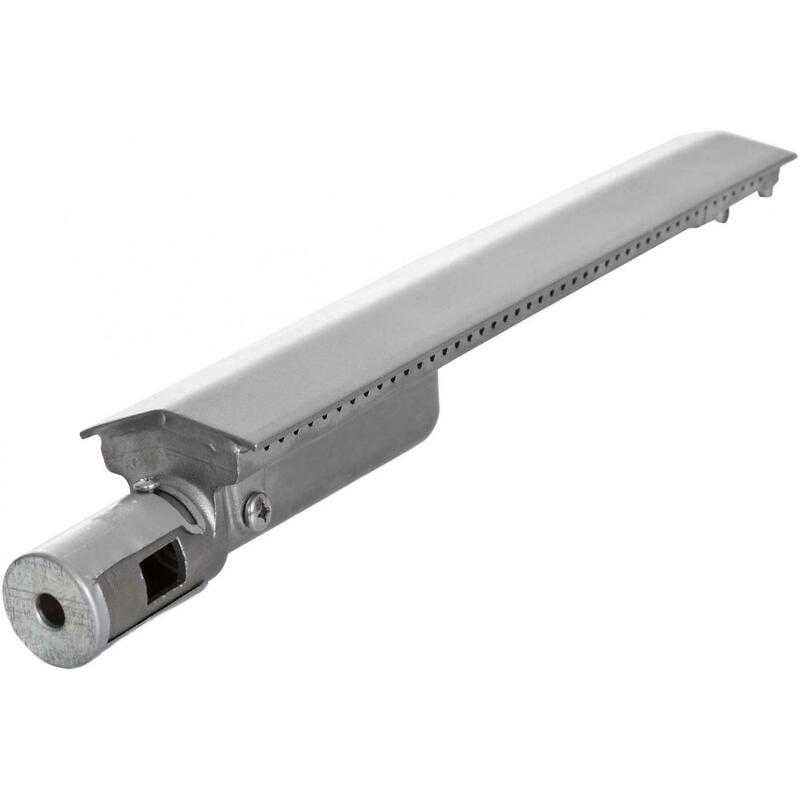 What Makes the Vented Flame Tamer With Ceramic Tubes Superior? 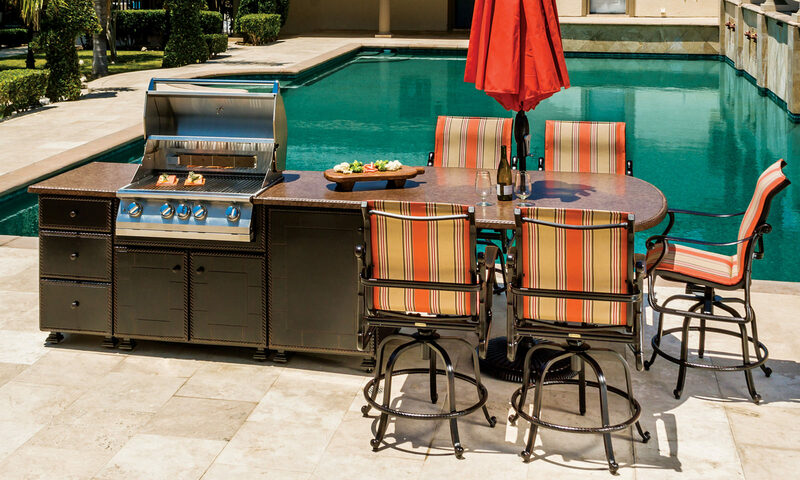 Our grills feature an XL temperature gauge which is mounted on the front lid; as the name states, it’s extra large for ease of use and readability. It’s lined with polished stainless steel and it registers temperatures in both Fahrenheit and Celsius. 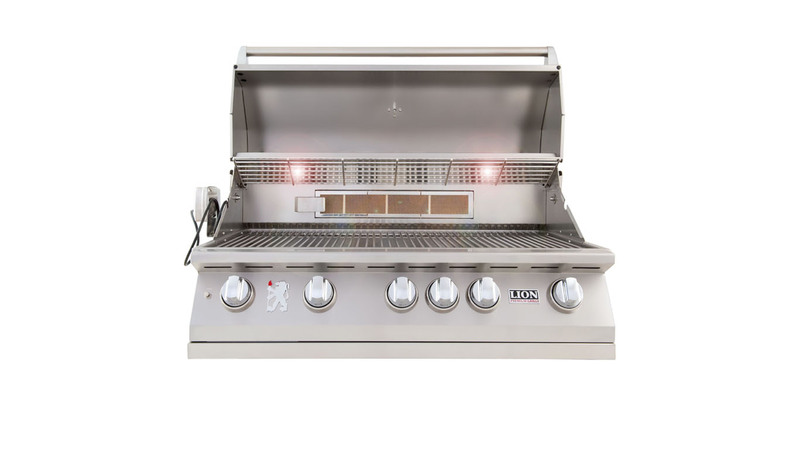 The front lid of the grill also comes equipped with our polished stainless steel XL full length handle. Opening your grill hood is a breeze and our eye catching handle not only looks beautiful but it’s also constructed from high quality stainless steel. The grill hood is dual layered and like the rest of the grill is comprised of 16 gauge 304 grade stainless steel which is rust proof and highly durable in addition to being one of the highest grades of stainless steel available commercially. You can feel the hardiness and density and the high quality of construction upon examination. The inside of the hood comes equipped with polyurethane grommets which provide protection against the hood scraping the inside of the grill lip; these grommets are comprised of highly resilient polyurethane which adds additional impact and abrasion resistance. The interior of the grill has dual lighting which makes grilling during the evening a breeze by allowing the user to maintain the proper amount of illumination during anytime. 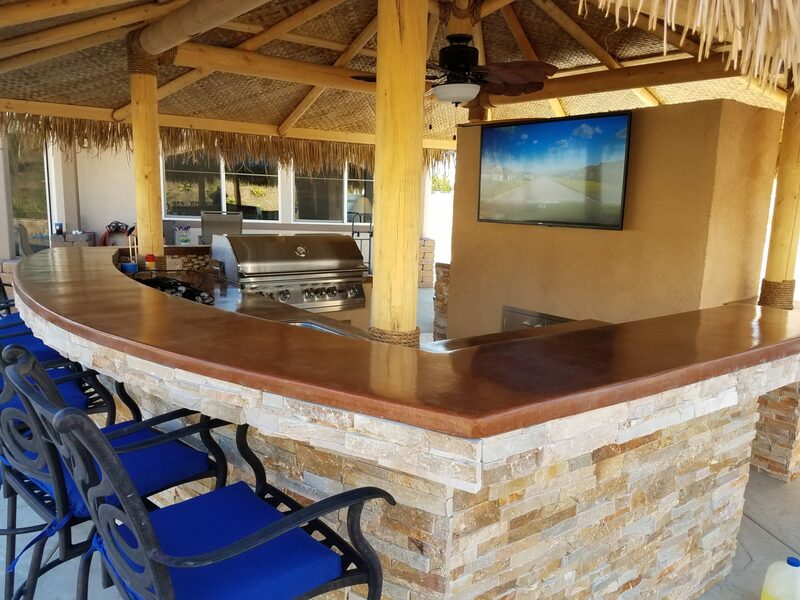 The inside of the grill also comes equipped with a warming rack which is fully adjustable and perfect for keeping any variety of food warmed by way of the infrared back burner that also comes standard with our Lion grills. The back burner is crafted from ceramic and outputs 15,000 total BTUs making it the perfect tool for slow roasting or cooking. Parallel to the back burner is our rotisserie kit and mounted rotisserie motor. The rotisserie motor is stainless steel geared and has the ability to hold and rotate up to 40 lbs. Rotisserie chicken, prime rib, etc. are perfect for this! The five cast stainless steel burners output a total of 15,000 BTUs each, which puts the grill at a total of 90,000 BTUs (including the rotisserie back burner). 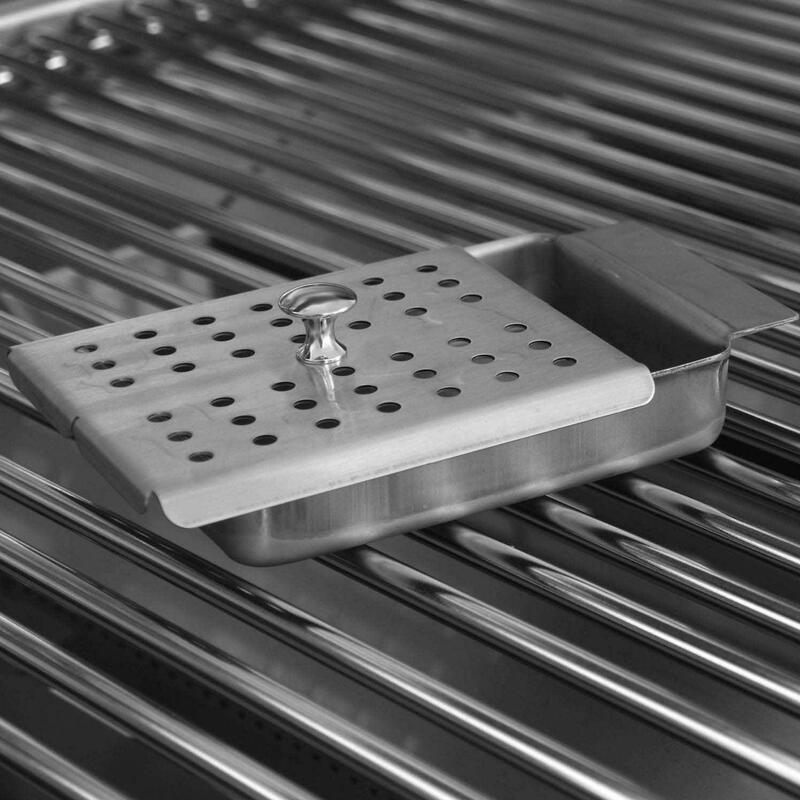 Our stainless steel smoker box is sitting on the grill grates; this handy device allows you to infuse your food with a multitude of new options and flavors. Basically, you can fill the smoker box with wood chips, etc. and add that wood smoked flavor to whatever you happen to be grilling, the options are almost endless. The griddle plate is also set on the grill itself; this item also expands your grilling possibilities by allowing you to cook eggs, bacon, and a huge variety of other items directly on your grill. This two accessories can prove to be essential to anyone’s cooking arsenal and best of all, they come included with our grills! The control panel features a stainless steel light switch, full sized XL knobs, and a full size drip tray. Push and turn knobs work beautifully to actually ignite your grill burners; they’re also designed with user functionality in mind. 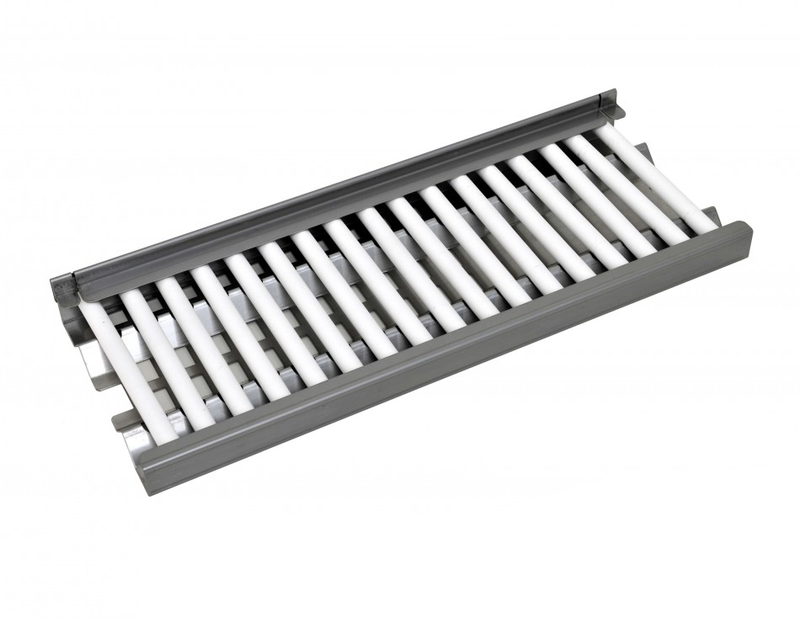 The full size drip tray is also very easy to pull out of the grill and also set back into place. As has been mentioned before, our grill is constructed from 16 gauge 304 grade stainless steel which makes our grills the heaviest in their class, bar none.